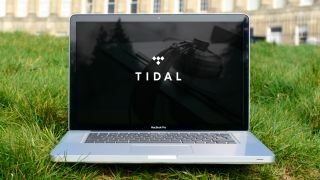 Jay Z's streaming service Tidal is about to look a lot more like YouTube Red, and a little like Netflix, with a new report revealing original series are in the works for the service. Tidal has ordered two new, original series, according Variety, including a scripted drama and a comedy series. Having hit a million subscribers early October, the streaming service is likely bolstering its library of content to compete in an increasingly crowded playing field. The streaming service currently offers exclusive songs and music videos, as well as short films and videos of old livestreams. The drama series, Money & Violence, actually began as a self-funded YouTube series created by Moise Verneau, and Tidal already carries this first season. It's been described as a low-budget version of The Wire, and follows the lives of a group of Brooklyn-based criminals, with the 12 episodes of season 2 to land on Tidal as an exclusive for one week in January. Meanwhile, the comedy series No Small Talk will exclusive to Tidal and will premiere November 3. It will profile upcoming comedians in five 30-minute episodes and will be hosted by DJ Cipha Sounds. According to the report, Tidal also has plans for a series that profiles upcoming musicians as well, along with a sports-related show.